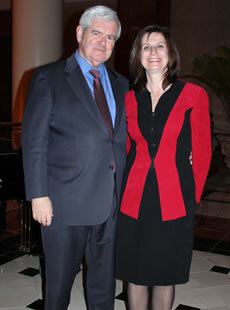 "There is no better asset than having Susan Meyers as a strategist who has been in the news business, understands what makes a story and can position your message in the best possible light..."
Newt Gingrich knows it. Mitt Romney knows it. And Cancer Treatment Centers of America know it. These are just a few of the clients that know about the benefits of working with Susan Meyers. Susan Meyers' Oak Grove Communications is a full-service media relations and communications firm, specializing in conservative policy initiatives as well as corporate and non-profit strategies. Led by former journalist Susan Meyers, Atlanta-based Oak Grove Communications is comprised of a team that delivers innovative, results-driven service. Republican Presidential candidate Newt Gingrich winning primaries in Georgia and South Carolina with the help of Meyers as Southeast Communications Director. 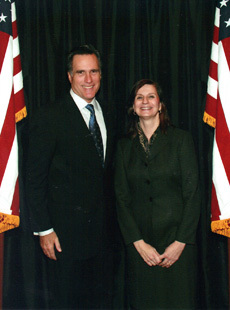 It handled media relations for GOP candidate Mitt Romney in Georgia in 2008. Created one of the biggest "trending" stories of July 2012 - the 100th birthday celebration of Nobel laureate economist Milton Friedman and his impact on American free market economics. National media coverage for the Center for Health Transformation in fight against approval and implementation of Obamacare. Cancer Treatment Centers of America attracting some of the nation's best doctors for the opening its first facility in the Southeast with the help of Oak Grove Communications leading its first public relations campaign. From healthcare reform to education, civil justice reform, energy, transportation and tax policy, Susan Meyers has led political and communications' strategies for some of the nation's leading conservative initiatives both in Georgia and Washington. Learn more about how Susan Meyers can deliver results for you.